A new Windows 10 smartphone pitched at business users offers NFC connectivity and Microsoft app integration for less than US$200. The Lumia 650 will be available in select European markets beginning immediately, Microsoft says. The device is also expected to include support for host card emulation (HCE). 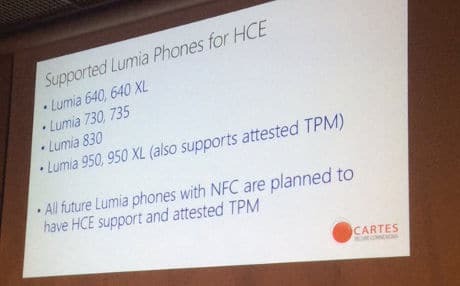 The arrival of the latest handset follows news revealed in a presentation at Cartes in November 2015 that all future Lumia phones with NFC are planned to have HCE support along with an integrated trusted platform module (TPM). 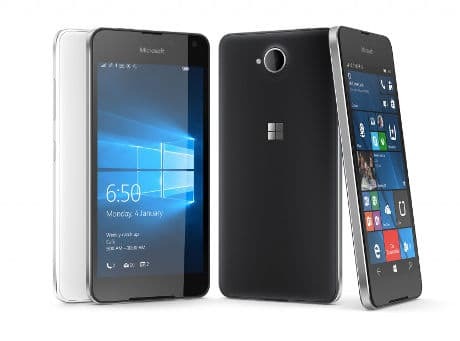 Windows phones with HCE support currently include the Lumia 640, 640 XL, Lumia 730, 735, Lumia 830, Lumia 950 and 950 XL. The company announced that it was to introduce support for HCE payments in the mobile version of its Windows 10 operating system in March 2015.